Aw yisssss... homegrown strawberries! It's the season for first fruits from the garden, I've already enjoyed my radishes, spinach and arugula are gracing the plate, and now the crown of early foods. 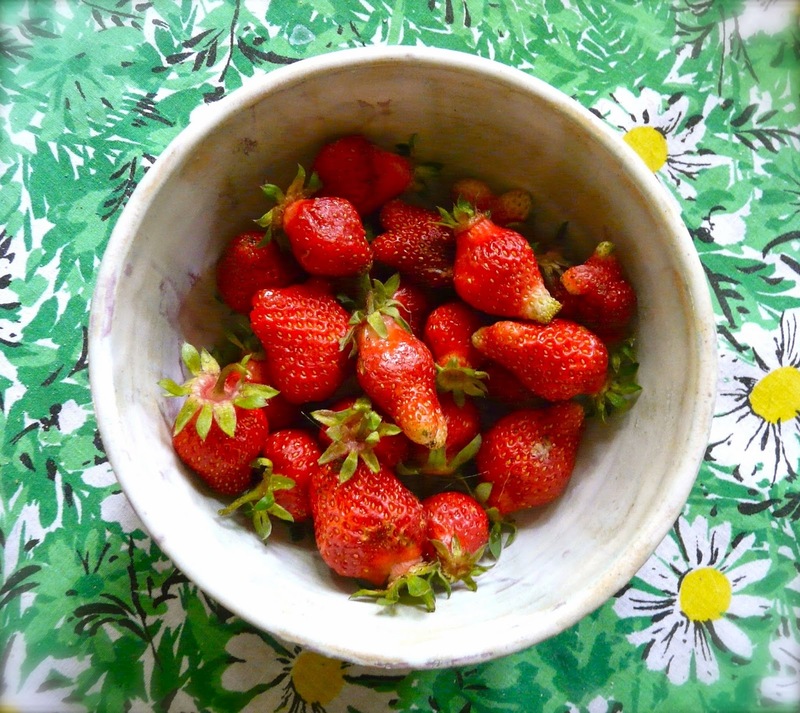 No matter how misshapen, no matter if they are still white on the bottom, no matter that they are small and bear the marks of hungry birds; homegrown strawberries are the sweetest nuggets of goodness on the gods green earth. This, I feel, is the truth of local, seasonal foods. I have grown used to enjoying many crops for only a few short weeks each year. I do it to support local growers, and to know where my food is coming from. I do it to reduce my environmental impact. It's a win-win to avoid those tasteless plastic packs from California and Mexico. But mostly, I do it for the taste. Sure, I can enjoy strawberries 12 months of the year, and I do at restaurants and friends gatherings. But I don't truly enjoy strawberries until they come from mother's yard, warm from the sun, ripe on the vine. The same is true for Palisade peaches and Rocky Ford cantaloupe, accept no imitations, wait for the real thing. What's your favorite seasonal treat? What do you wait all year to enjoy?